The greatest elephant in the room when discussing hadiths is the question of their reliability. As we saw last time, a hadith is a saying of the Prophet or the Ahl al-Bayt (as) that is orally transmitted through a short or long chain of transmitters. The objection that is often raised is, how do we know this system is reliable? Isn’t this just hearsay? Hearsay, as we often experience nowadays, is not something that is reliable. In fact, it is often inadmissible in courts! Any introductory study of hadiths will make us realize that Muslim scholars already pondered these self-evident questions from day one and as a result, set a system or science of verifying and sorting out what hadiths are reliable and which ones are not. 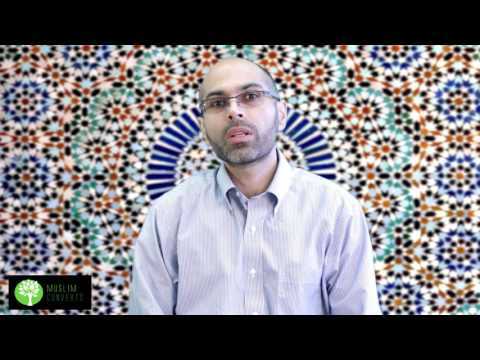 In this lesson, we’re going to go into some of the mechanisms that Muslim scholars developed over the centuries in trying to overcome some of these problems. When Islam is attacked, it is often through the means hadiths. The idea is that hadiths are just hearsay and there is no way to know if people made mistakes or if the transmitters of the hadith are liars. Perhaps an issue that makes the matter even more complicated is how we have contradicting hadiths. Obviously if hadiths contradict each other, that means that they aren’t reliable, right? Well, not necessarily! So let’s begin. Muslim scholars grade hadiths into a number of categories, the most popular of these categories are called sahīh (meaning reliable) and daʿīf (meaning weak). Obviously this does not exhaust the grading of categories for there are many more, but we just want to get an idea across at this point. If there were two hadiths that contradicted one another, then Muslim scholars set a number of mechanisms to resolve them. For example, if a hadith stated that something X was haram, and another stated that it was halal, Muslim scholars reconciled them by stating that the prohibiting hadith simply meant that the issue was disliked (makrūh) and not literally forbidden. If reconciliation was not possible, Muslim scholars often opted for the more reliable hadith and put aside the less reliable one. As we said before, assessing chains of transmissions were not necessarily a means of establishing the historical veracity of the hadith. The way we know whether or not a hadith is historically reliable is by assessing its tawātur, that is, the number of times it has been narrated through independent chains of transmission. If there were enough independent chains of transmission relaying the same hadith, then it was understood that there would not have been a lapse of memory, or any kind of conspiracy to fool people into believing the hadith. So for example, the hadith of Ghadīr is considered to be mutawātir, or having a high level of tawātur as it has innumerable independent chains of transmission. On this basis, we are certain that the Prophet (s) uttered the sermon concerning Imām ʿAlī’s (as) appointment as the Messenger of Allah’s successor. The Prophetic hadiths in the Sunni compendiums are mostly transmitted through a select number of companions of the Prophet whereas most of the Prophetic hadiths in Shia books are transmitted through the Ahl al-Bayt (as) of the Messenger of Allah (s). The Sunni hadith books contain many narrations from companions, whereas the Shia books will contain many, if not mostly, hadiths from the Imams of the Ahl al-Bayt (as). However, despite the Imams narrating most the hadiths, the Imams made sure to state that whatever they taught originated first from the Prophet. As such, nothing the Imams of the Ahl al-Bayt (as) said were from their own thoughts, they were all the teachings of the Messenger of Allah (s). What is a chain of transmission? What is a sahih hadith? What is a weak hadith? What are the major compendiums of hadith in the Shia Muslim world?